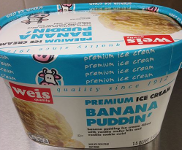 Weis Markets today said it has issued a recall for its Weis Quality Banana Puddin Ice Cream (48oz) since the product’s ingredient label fails to list an egg allergen due to a supplier error. his product has been removed from sale. It was sold in 200 Weis Markets’ stores in Pennsylvania, Maryland, Virginia, New Jersey, New York, Delaware and West Virginia. The ice cream is packaged in a scround container with a UPC of 041497-01305. All lot codes are affected. An example of the label has been included with this release. Customers who have purchased this product may return it for a full refund. Customers requiring additional information may contact Weis Customer Service at 1-866-999-9347 Monday through Friday 8am-5pm. ondelēz Global LLC announced today a limited voluntary recall in the United States of certain Chewy Chips Ahoy 13oz cookies. This voluntary recall is being conducted because of the potential for certain product to contain an unexpected solidified ingredient. Some reports of potential adverse health effects have been received. This recall is being conducted in the US. Consumers who have this product should not eat it. Consumers can contact the company at 1-844-366-1171, 24 hours a day to get more information about the recall. Consumer Relations specialists are available Monday-Friday, 9am to 6pm EDT. Unilever is voluntarily recalling a limited quantity of Ben & Jerry’s Coconut Seven Layer Bar bulk and Ben & Jerry’s Chunky Monkey pints, which may inadvertently contain tree nuts including almonds, Brazil nuts, and hazelnuts that are not declared in the ingredient list or allergy information list. Both affected products include a "Contains Walnuts" and a "May contain other tree nuts" label on the back of the pack. The recall was initiated after an undeclared nut was found during the production operation. Caito Foods, LLC, of Indianapolis, Ind., has recalled products containing pre-cut melons because they are potentially contaminated with Salmonella. Additionally, Caito Foods, LLC has temporarily suspended producing and distributing these products. FDA worked with CDC and state partners to trace the distribution of pre-cut melon mixes from individual case patients back to Caito Foods, LLC. FDA is also continuing its traceback investigation to identify the specific source of these melons. Salmonella Carrau is a rare type of Salmonella but has been historically seen in imported melons. Reports from Caito Foods LLC indicate that imported melons were used in the suspect pre-cut melon mixes. FDA’s traceback investigation is examining shipping records to try to determine a country and if possible, a farm of origin for the melons. Consumers should not eat the recalled pre-cut melon products. The products were packaged in clear, plastic clamshell containers and distributed in Illinois, Indiana, Iowa, Kansas, Kentucky, Michigan, Minnesota, Missouri, Nebraska, New York, North Carolina, Ohio, Pennsylvania, Tennessee, West Virginia, and Wisconsin. Consumers in these states who have purchased pre-cut melon products and cannot determine whether they were produced by Caito Foods, LLC should throw those products out. 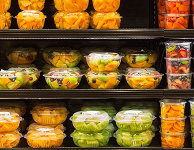 Retailers and restaurants should also not serve the recalled pre-cut melon products and should throw the product out. Additional information about this recall is here. 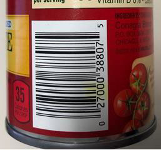 Conagra Brands, Inc. (NYSE: CAG) is voluntarily recalling a limited amount of Hunt’s Tomato Paste No Salt Added six ounce cans. After the canning process, the final product could have been damaged, creating the potential for mold.Conagra Brands became aware of the issue after receiving calls from consumers. All Alfasi Reserve wines produced before 2017 are not mevushal. The 2017 Alfasi Reserve wines are mevushal, as stated in English, but bottles may be mislabeled with the words 'Not Mevushal' in Hebrew. These products were sold in ShopRite, Price Rite Marketplace, The Fresh Grocer and Dearborn Market stores located in New Jersey, New York, Pennsylvania, Connecticut, Maryland, Massachusetts, Delaware, Rhode Island and Virginia. Wakefern was made aware of the issue when their supplier, Oskri Organics Corporation of Lake Mills, WI, notified them that several nut butters produced in their facility had tested positive for Listeria bacteria. Though no Wholesome Pantry Organic nut butters tested positive for the bacteria, a voluntary recall was initiated out of an abundance of caution. Consumers with questions may call Customer Care at 1-800-746-7748 Monday-Friday from 8:00 am to 6:00 pm and weekends from 9:00 am to 5:00 pm. 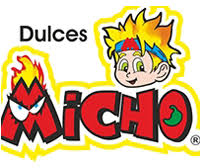 Translated by Google Translate: Micho sweets that contain candy or gummies are not authorized yet bearing the KMD logo. Theo Chocolate of Seattle, WA is voluntarily recalling 3oz Sea Salt 70% Dark Chocolate bars (UPC 8 74492 00325 8) because they may contain undeclared milk. Ed. note: This product bears a Star-D designation. "The conditions that two years ago led to a deadly multistate salmonella outbreak due to Maradoly papayas imported from Mexico remain largely unchanged." "mported papayas from Mexico remain under an import alert issued by the Food and Drug Administration (FDA) that permits U.S. ports of entry to detain the Mexican produce without physical examination. FDA’s concern once again is the potential for widespread Salmonella contamination Mexican grown papayas for the American market." "In 2017, Maradol Papayas were associated with four outbreaks involving eight strains of Salmonella. These included Salmonella Urbana, Salmonella Newport, Salmonella Infantis, Salmonella Anatum, Salmonella Thompson, Salmonella Kiambu, Salmonella Agona and Salmonella Gaminara." The information posted is from secondary sources. We cannot take responsibility for the accuracy of the information. Copyright © kashrut.com. Permission is granted to reprint these alerts in hardcopy print media if kashrut.com is credited as the source of the information.